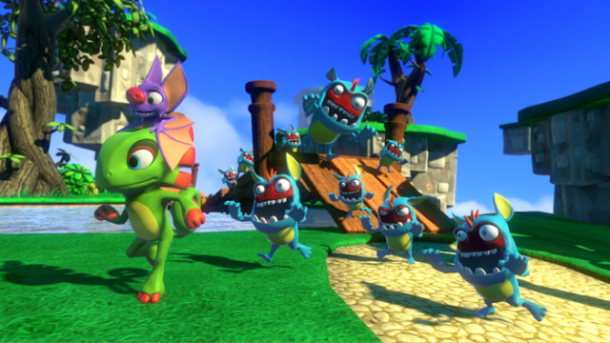 Yooka-Laylee is a 3D platformer developed and published by Playtonic Games for Windows, Mac, PlayStation 4, Xbox One, and Wii U.
Yooka-Laylee is a spiritual successor to Banjo-Kazooie. In it you play as two characters - Yooka the chameleon, and Laylee the bat. Yooka uses his tongue like a grappling hook, while Laylee can pick up his partner and fly for a short period of time and can unleash a sonar blast.